Seawatching can present identification difficulties to even the most experienced birdwatcher, and demands a specialised set of skills and strategies to deal with the challenges of bad weather and poor visibility. 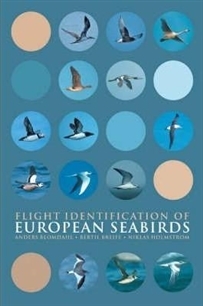 The rewards can be great; many species of seabird live exclusively at sea outside their breeding seasons, while many others undertake regular coastal migrations. At established 'watchpoints' around European coastlines, patient observation may reveal spectacular numbers of passing seabirds, while today the growing popularity of whale-watching and 'pelagic' boat excursions makes it possible to get closer to many offshore species. This unique field guide is indispensable to all birdwatchers who seawatch, whether from land or at sea, and will greatly enhance their experience.